Jesus' family isn't talked about much in the Bible, but this lesson will focus on them, and how their belief in the Messiah grew throughout Jesus' life. Please read Jude 1:1-25 before starting GraspingGod.com's free Bible study lessons, #2.04. 1) Who were the brothers and sisters of Jesus? 2) Was John the Baptist related to Jesus? 3) Did Jesus' brothers believe in his teachings? Hey, great to see you again! Thanks for stopping by for another Bible lesson. Let's discuss Jesus' family and see how we can increase our faith in Jesus Christ alone. Let's list the biblically verified family members: Joseph, Mary, Jesus, and the brothers and sisters of Jesus: James, Joseph, Simon, Judas (aka Jude) and unnamed sisters. Jesus had 10-12 immediate family members. The exact number eludes us, because we don't know how many sisters enjoyed Jesus as a big brother. Jesus' step-grandpa was named Jacob (Matthew 1:16) or Heli (Luke 3:23) and his step-great-grandpa was named Matthan (Matthew 1:15) or Matthat (Luke 3:24). Let's step back in time a moment to Jesus' birth. Joseph, father of Jesus was a skilled carpenter who had great faith in God. He responded with wise decisions while his future bride, Mary was carrying baby Jesus. Most assuredly, Joseph's first thought upon hearing that Mary was pregnant would have been to break off their engagement. However, his faith in God proved enough for strict obedience to the angel's message from the Lord (Matthew 1:20-25). Joseph was given another dream from God, which compelled him to take Mary and Jesus to Egypt to flee an edict by King Herod to kill all boys under 2 years of age. Joseph did well and carried out the mission obediently, thereby saving the Christ child. Jesus' family stayed in tact through perilous times, thanks to Joseph's strong family leadership. Joseph was no doubt in charge of the physical development of Jesus, because most Jewish fathers at the time were over their boys' physical growth. Boys played vigorous body building games and also contributed in the workplace. Fathers also helped greatly with the memorization of the Hebrew Scriptures. Joseph proved more than capable in raising our future Savior into adulthood. We owe this great man honor for following God and raising up our Savior into adulthood. Mary, mother of Jesus was a humble lady who loved the Lord. Her life and motherhood had a tremendous influence over Jesus during his developmental years. J.Oswald Sanders wrote of her life, "Everything indicates that she was one of those rare women whose glory it is to prepare a noble life, losing themselves in it, and desiring to be glorified only in its usefulness." Mary was there for Jesus from conception to death to the resurrection. She was with the disciples when the Holy Spirit fell in large measure upon them (Acts 1:12-14). She was a true believer in the One sent from God. A favored woman she was! Study more here: The Virgin Mary. The brothers and sisters of Jesus get minimal biblical coverage, especially Jesus' sisters. There is enough recorded to draw the conclusion that Joseph and Mary definitely gave birth to many more children after Jesus Christ (Matthew 1:25, 12:47; Luke 2:7; John 2:12; Acts 1:14). Looking at the Matthew 12:47 passage, one cannot draw the conclusion of the perpetual virginity of Mary, the mother of Jesus. Mark 3:21 even adds that his family "thought he was crazy." Jesus made his point that his first responsibility is to his Kingdom family. All Christians must take special note of this statement. Upon answering the call of God, nothing can stand in the way. By the time Jesus begins his ministry, Joseph is presumed dead. One must wonder if Mary ever shared with her remaining loved ones the "secrets" that had been stored in her heart (Luke 2:19). Jesus, remember, told her at his first miracle that his time had not yet come (John 2:4), so Jesus' true identity remained mum for some time. John 7:5 confirms that some of Jesus' family had reservations about him, "For even his brothers did not believe in him." The same was true for Jesus' disciples, as well, so don't be too judgmental with his family members. We would have acted the same, if not worse. It was early, not much was known, but there was so much more for Jesus' family to see. 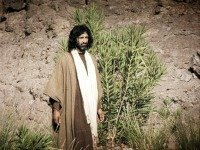 John the Baptist was Jesus' first cousin and was born immediately before Christ. He prepared the way for Jesus by calling the nation of Israel to repentance. Luke shares this critical teaching by John the Baptist, "Everyone was expecting the Messiah to come soon, and they were eager to know whether John might be the Messiah. 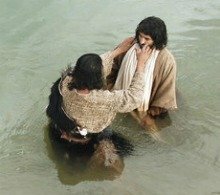 John answered their questions by saying, “I baptize you with water; but someone is coming soon who is greater than I am — so much greater that I’m not even worthy to be his slave and untie the straps of his sandals. He will baptize you with the Holy Spirit and with fire." (Luke 3:15-16). John the Baptist gave his life for his Jesus' mission (Luke 9:9). After Jesus' death and resurrection, things greatly changed. At least James and probably the other brothers had witnessed Jesus' resurrection. The Bible states that James became a believer at that time. Mary, mother of Jesus and all the brothers of Jesus waited for the Holy Spirit to fall on them in Jerusalem after Christ's ascension (Acts 1:12-14). They were with other believers, including the disciples. 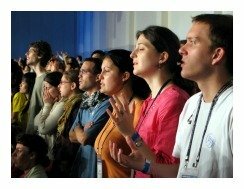 The Holy Spirit soon fell upon the group and filled them with the power of God (Acts 2:1-4). The apostle Paul later reports that Jesus' brothers were married and that they were going on mission to build the church (1 Corinthians 9:5). Knowing that Jesus' brothers became believers because of seeing the risen Christ should inspire us all. They were once doubters, but were given faith, which led them to repentance and belief in Jesus. Jesus' brothers, James and Jude (aka Judas), both penned letters which eventually became books of the Bible. It's great to know God placed Jesus in a wonderful, God-fearing family. Jesus' family was used in marvelous ways to raise up our Savior. They were then used to build the young Christian church, which was being prepared for you and me. The family bonds that developed through the early life of Jesus proved to advance the gospel after Jesus' death. Even though there was an early reluctance for Jesus' family to believe who he was (the Messiah and Son of God), they later trusted in their brother for eternal life. I can almost hear Mary finally telling his brothers and sisters all that had transpired at Jesus' birth. Our families are all important to us. Jesus places us in our families with purpose - there are no surprises. God uses the family to nurture and complete us. Families also allow us to be bold with one another about the truths of the gospel. Have you shared your faith with your family? Do they know you've died to your old self? Have they heard that Christ now reigns in your life (Galatians 2:20)? You are where you are because God specially placed you there. Let him use you to advance his awesome Kingdom. Don't forget this important biblical truth. The ultimate family you belong to is Jesus' family. He is the head of the church (Colossians 1:18) and once you make him your Lord, you belong to his Church. After we believe in God with saving faith, we are adopted into Jesus' family. Our brothers and sisters are those who are already Spirit-filled disciples of Jesus Christ. Let's keep all things in perspective, knowing that we are called with a higher calling, which is to glorify God above all else. Trust him today. Join our next lesson: Life Of John the Baptist #2.05. 1) Why do you think the closest people in Jesus' family (other than Mary) didn't believe in him until after his resurrection? 2) Upon the study of Jesus' family do you believe getting raised in a lower income family is beneficial spiritually? 3) Why are our earthly families important to us? Never let the river of life stop flowing. After sharing this Bible study lesson on Facebook or Twitter below download your FREE printable Bible Study Lessons (pdf version): Jesus' Family, Lesson 2.04. Please Donate to GG.com. Special Note: I'm grateful to Big Book Media & Free Bible Images for the use of their photos for Jesus' Family Bible study lesson.